Pre-registration is required. Please call Arcadia Wildlife Sanctuary at 413-584-3009. 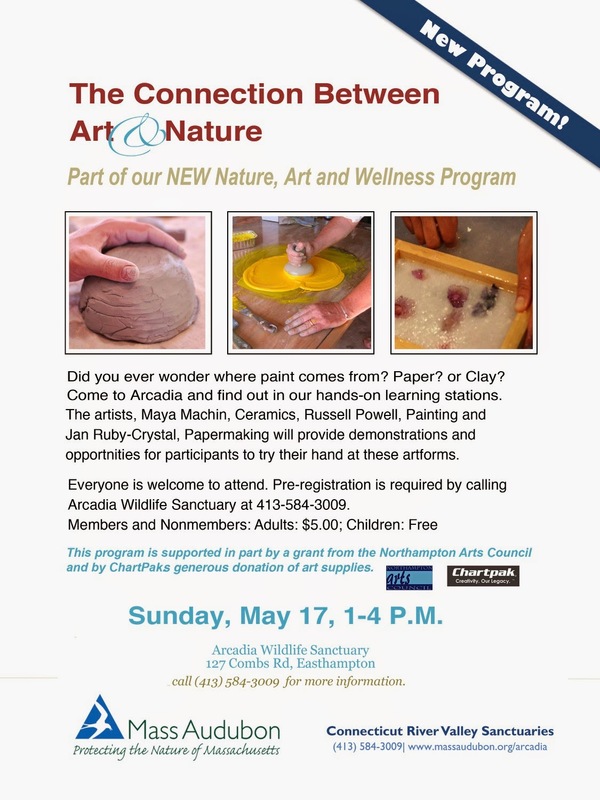 Russell Powell and Maya Machin will join Jan Ruby-Crystal in Presenting: The Connection between Art and Nature as part of our Art, Nature and Wellness Program.